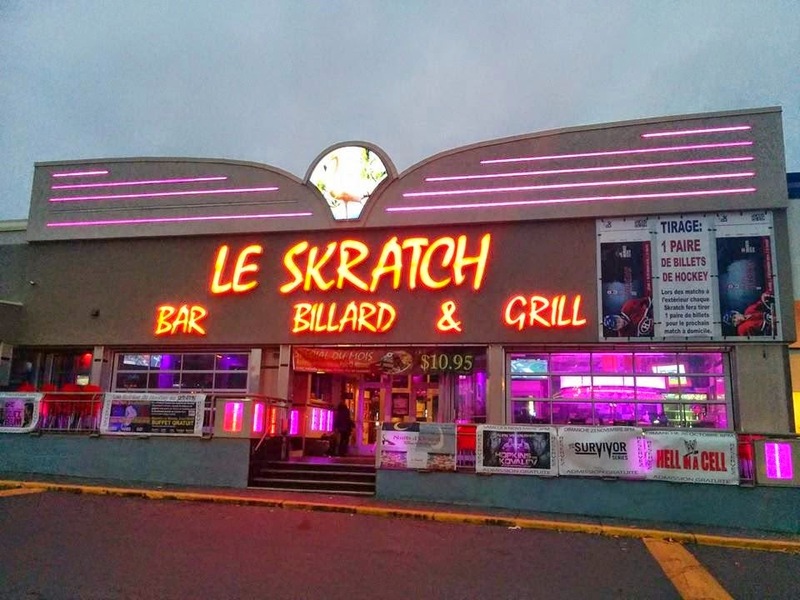 Unfortunately today I have some bad news to report from Laval, as there was a stabbing this past weekend in front of the flagship "Le Skratch". When it comes to these types of articles I am always hesitant whether or not to report negative news such as this, because at the end of the day I am a promoter of Cue Sports.However my Journalism background is always there nagging at me because in reality this is news. The stabbing happened in the parking lot in to a 21 year old male early Sunday morning. The victim was stabbed in the abdomen and he is listed as in "stable condition" after surgery. This act of violence appears to have nothing to do with Billiards at all except for the fact that it occurred near one of the more notable pool halls in Montreal. The apparent reason giving for this incident is a "love triangle" argument which escalated. My initial protective reaction to this story is "well it happened in the parking lot" with lots of other businesses in the same strip-mall. However it was early Sunday morning and they were the only place open and selling alcohol. For the moment I will give full credit to the major media outlets covering this story as they have yet to take the usual stigma based approach to this type of story which occurs more often than not. It just so happens that next weekend January 18th I will be at this location for a tournament as I am there at least once a month during this time of the year. I invite anyone to join me as this was an isolated incident and in no way means that this is an unsafe or bad place to be.